What is Clinical Pilates and what is it not? 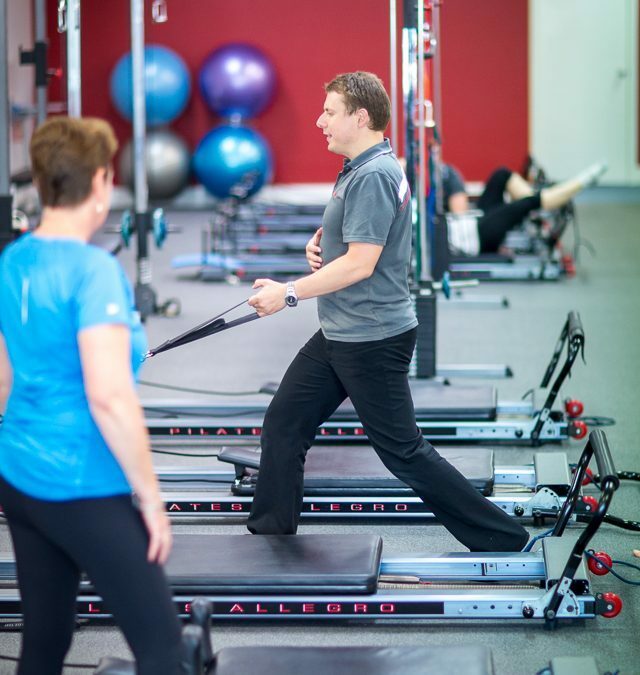 The real strength of the Clinical Pilates process is that it is not a strict interpretation of traditional Pilates exercises, but the basis is the knowledge of the body and injury management. The exercises selected for a client are very specific to their needs and goals and subsequently, the effect on the body’s structures. This really means that Pilates is made to fit around the person, not the person to fit around Pilates. The result is that anyone, no matter their age, injuries, fitness or strength, can benefit from Clinical Pilates and achieve their goals. In Clinical Pilates, you most likely will not perform some of the fancy, difficult moves seen in some programs such as hanging from the trapeze table or a lot of the v-shaped holding exercises, but that’s okay because these exercises rarely suit a lot of people. What you will see is targeted, specific exercises, designed and instructed for a purpose to achieve the client’s specific goals. To book your FREE full body assessment, call us now on 03 9857 0644 or email admin@mdhealth.com.au. We are located in East Kew and parking is easy. Open Mondays to Thursdays from 7am-9pm; Fridays & Saturdays from 7am – 2pm.